The European Commission today announced its intention to bring in mandatory speed-limiting devices for all new cars, from 2022. For road safety advocates this sounds like a great idea in principle, but is it really the correct approach? Surely this ruling can't just apply to new cars? If the speed-obey technology is deemed to be such a good idea, then surely it should be mandated for all vehicles! Retro-fitting may be expensive, and maybe there would be sensible exemptions, but why give the criminally-minded an enormous loop-hole? Safe driving is much more nuanced than just driving within the speed limit. Indeed, there are a great many times when you could be driving dangerously fast but well within the speed limit (think country lanes for instance). For a speed-limiting technology to be truly effective, all speed limits need to be reviewed - and a 20mph limit introduced to all residential streets. 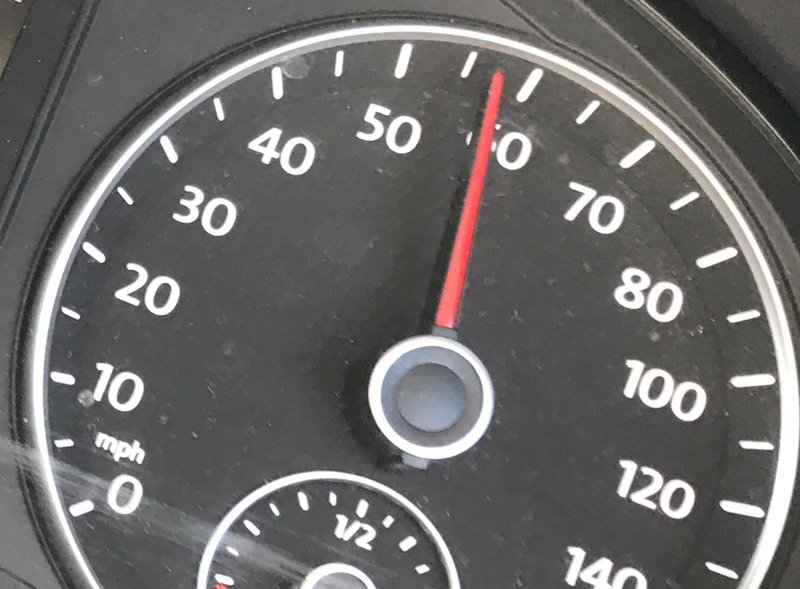 For most people with a speed-limiting device fitted in their car, there's will be the temptation to simply accelerate hard and let the device regulate the speed. So if I'm in a 30 zone and just getting going, I might simply floor it until I can't go any faster. Since I'm absolved of responsibility for my top speed, I'll just tell the car to go as fast as it's legally allowed! So, good or bad idea? The proposed technology is fundamentally necessary, as far too many drivers are proving every day that speeding creates a dangerous and unpleasant environment on the roads. I would question whether a simple speed limiter is sufficient, and would actually be in favour of fitting a "black box" to every single vehicle. This would track a large range of driving behaviours, and could then be used to influence insurance premiums (for repeated minor infractions) and criminal prosecutions (for major incidents). Young drivers are highly encouraged to have these fitted (as it makes their insurance a lot cheaper), and they drive exceedingly carefully as a result.